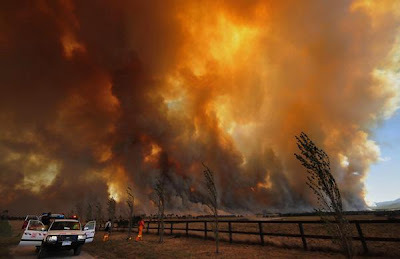 My heart aches for the people, the communities, the wildlife and livestock, the farmland and bushland that have fallen victim to the horror of the bushfires in Victoria. The death toll stands at 84 people. Hundreds of homes have been lost. At least 200,000 hectares of land has been burnt out in over 400 fires all over the state. Donations can be made via the Red Cross Victorian Bushfire Appeal – online or phone 1800 811 700. I read some of the ABC news feed stuff on this. The one where the little girl said “Mummy, will I live tomorrow?” just broke me up. I didn’t read too much more after that. Godawful, let’s hope it all ends soon. I agree with Ariane on this one. There comes a point when you’ve read enough and just can’t stomach any more. It’s just so terrible. We drove through/near some of these areas last weekend on our way down to a friend’s in Melbourne. Hubby and I both commented that the paddocks and trees were so dry that if they went up they’d go up big. How sad our prediction was right. I’ve reached my saturation point with the information – I’ve got it all turned off now. I am completely overwhelmed by the level of destruction and the realisation that these poor people (victims and emergency services) will be mentally scared by this…the official death toll will never account for the suicides, marriage breakups, mental breakdowns and other side effects of something this big. What a sad event. Since your post the death toll has risen, but so have the donations. The public response to this has been quite overwhelming. As for the suspected arsonists, I hope they catch them and lock them up for some time.